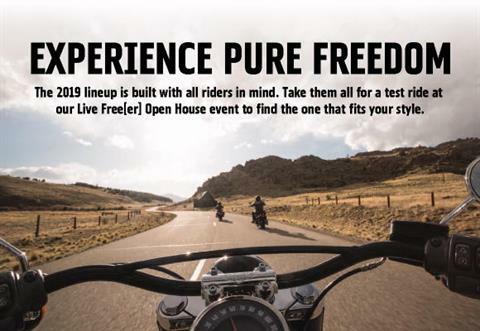 Overview: Join Harley-Davidson of Utica for our Live Free[er] Fall Open House September 21 - 23 to experience the all-new MY19 Lineup up close and personal, and check out the new lines of motor clothes and parts/accessories for 2019. PLUS...we're going to party it up on Saturday, September 22, 11 AM - 2 PM. Food by Dinosaur BBQ, and musical guest Classified! It's all happening at H-D Utica!